I loathe SharePoint. Its like Google Drive without the easy to use UI. But if you’re used to .NET, then SharePoint is good. I had NEVER used SharePoint before (primarily because I had no need for it and I have a Mac which doesn’t play nice with SharePoint), but here I was having to call a SharePoint list to get the data I needed on the front end. The problem was that because of the nature of SharePoint, authenticating my machine to request the data through the SharePoint REST API was tricky. I couldn’t send an API token or credentials through the SharePoint REST API request. Needless to say, it was difficult. Shout out to Andrew Koltyakov for creating the SP-REST-Proxy library. It allows you to forward your localhost requests to a local node server authenticated in SharePoint. I’ll show you how I set it up. If you’re like me, you have no clue about the SharePoint set up (or really care). But in order to authenticate your node server, you need to determine if you’re running SharePoint On Premise or SharePoint Online. This will determine how your node server will be authenticated. Check with your SharePoint administrator for this info. For this blog purpose, we’ll assume that it SharePoint On Premise. Let’s create a file that will hold your private credentials that you use to access your SharePoint site. Make sure to add _private.conf.json to your .gitignore. You don’t want your credentials to your git tracking! The server will point to the domain of where your SharePoint is hosted followed by /api and then site/../... We only care about happens after /api. 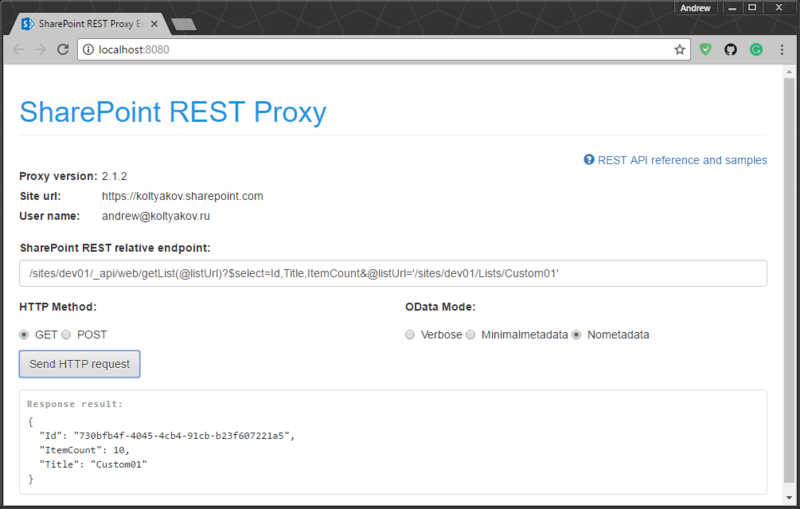 To reroute your calls to localhost:8081, we’ll add a new file named proxy.conf.json at the root of our application. This file will do the forwarding of calls from our Angular server on localhost:4200 to our proxy server. You can also add your static assets folder here as well. "hmr": "ng serve --hmr --environment=hmr --verbose --proxy=proxy.conf.json"
Hit me up on Twitter or via email if you have questions. I’d be happy to share! Big Thanks to Andrew Koltyakov for his help and troubleshooting!